Do you have experience in working alongside community partners in data analysis or program evaluation? 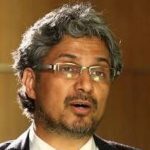 Do you want to connect with others who are using their skills for public good? National efforts from organizations such as DataKind, Data Science for Social Good, and Statistics without Borders have been expanding in recent years as more individuals recognize their potential to impact social change. Great things can happen when individuals are empowered to dedicate time, resources, and knowledge to the pursuit of public good. Whether we work in the foreground or the background, we can all contribute to improving the lives of those around us. Statistics in the Community (STATCOM), in collaboration with the Center for Education Design, Evaluation, and Research (CEDER) and the Community Technical Assistance Collaborative (CTAC), invite you to attend the 2nd Annual Data for Public Good Symposium hosted by the Michigan Institute for Data Science (MIDAS). 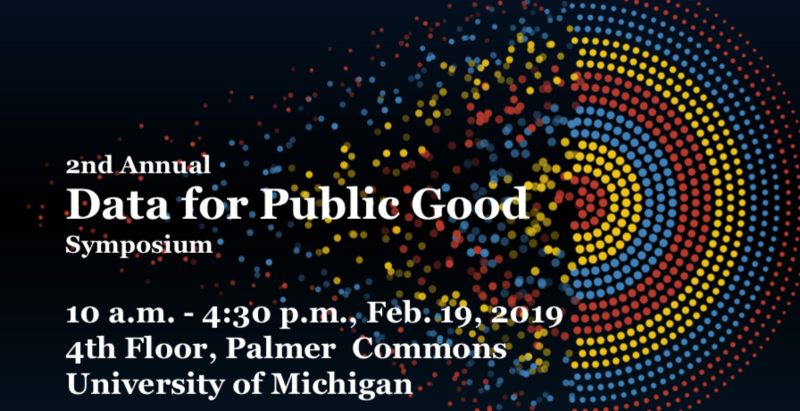 The symposium will take place on Tuesday, February 19, 2019 and will showcase the many research efforts and community-based partnerships at U-M that focus on improving humanity by using data for public good. If you are interested in attending, please register here. 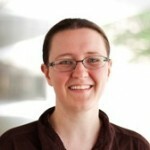 About the Organizers: STATCOM is a community outreach organization offering the expertise of statistics graduate students – free of charge – to nonprofit governmental and community organizations. CTAC is a community-university partnership convened to serve a universal need identified by community partners around data and evaluation. 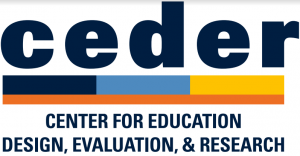 CEDER is a School of Education center devoted exclusively to offering high-quality designs, evaluations, and research on teaching, learning, leadership, and policy at multiple levels of education. This symposium is part of our effort to bring together university organizations that promote similar ideals and individuals whose research provides a service for the greater good. Data-intensive social science is one of the research focus areas that MIDAS supports with its Challenge Awards. Our long-term goal is to support this research area more broadly, using the Challenge Award projects as the starting point to build a critical mass. This symposium offers a platform for all participants to explore collaboration opportunities and aims to attract more researchers to our hub. The two Challenge Award teams will give in-depth presentations, and all participants are encouraged to submit posters on research related to data-intensive social science. The Michigan Institute for Computational Discovery and Engineering 2018 Symposium will feature eminent scientists from around the world and the U-M campus. 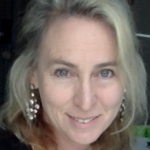 The symposium this year will show how computational science is leading the research at all scales in our lives, from the molecular level to the sky. Visit the Symposium page for more details. The symposium will include a poster competition highlighting outstanding computational work from U-M students and postdocs. First place is awarded $500, and second and third places win $250.